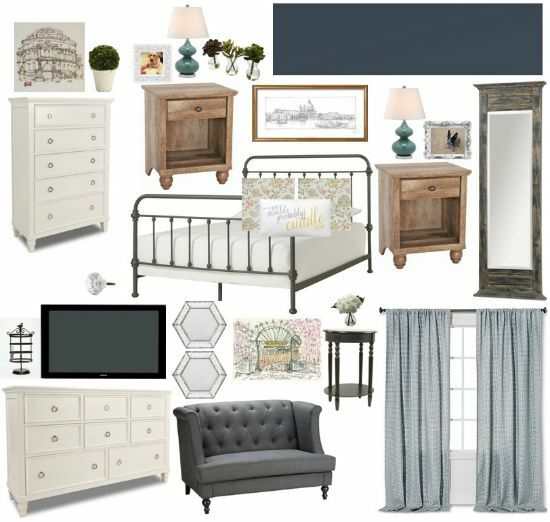 These aren’t necessarily the pieces I’m going to buy and everything is subject to change, but this is my plan for the master bedroom. I’ve found over the past couple of years that putting everything together in one picture helps keep my purchases in check and keeps me focused on my plan. So the big items I need to buy are a new bed, nightstands, dressers, and some kind of chaise lounge/sitting area. 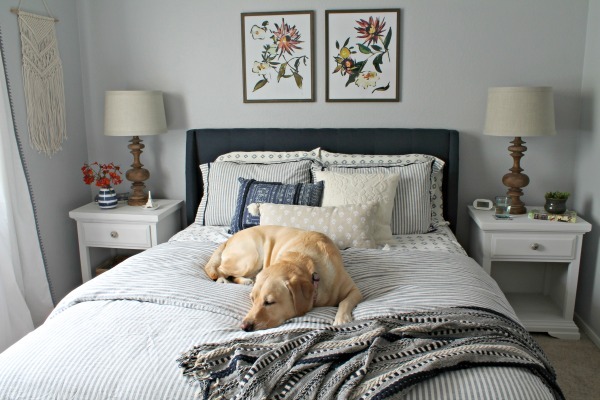 I loved my stenciled upholstered headboard, but it looks pretty shabby now thanks to Ringo. Every night he gets in bed and licks the exact same area. You can imagine how gross that spot looks. I’ve thought about trying to clean it, but I’m just ready for a new look. For the walls, I’m thinking of a travel theme. I’ve been hoarding a pretty decent collection of art for the past couple years and I’m happy to finally have a place to hang them together. Honestly, I’m surprised how many great paintings/prints I’ve found at thrift stores/antique stores of places I’ve traveled. So far I think I have paintings/prints of Bath and St. Paul’s Cathedral in England, the Paris Opera House, and the Dome in Florence. I think I’m going to hang them around the TV gallery wall style, but that’s still TBD. They all need to be re-framed too. Everything else is just curtains, accessories and finishing touches. I’m really excited to see how this room comes together!